WILL Cawley will be flying the flag for England next month. The Holts 17 year old is one of seven boxers selected for the prestigious Brandenburg Cup in Berlin from September 9-15. For Cawley it will be one of the toughest assignment of his short career in the 49kg category. Some of the best young boxers in Europe will be setting their sights on the title. 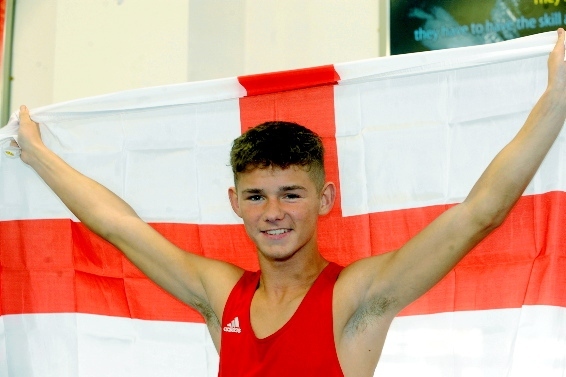 Cawley follows in the footsteps of Eric Noi, his coach at Oldham Boxing and Personal Development Centre, who won a bronze medal at the tournament in 1990. Cawley has caused a stir in the pro ranks after his impressive sparring session with much-touted flyweight Luqmaan Prince Patel. A good performance in Germany would put Cawley in selectors’ minds for the Great Britain squad for the Olympics.